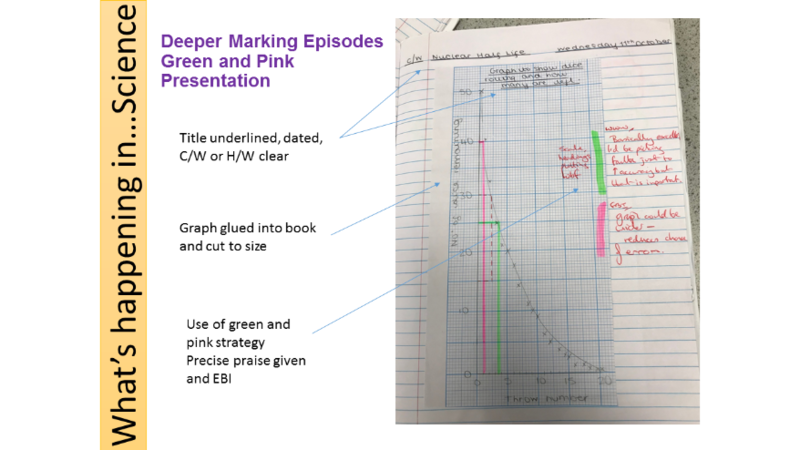 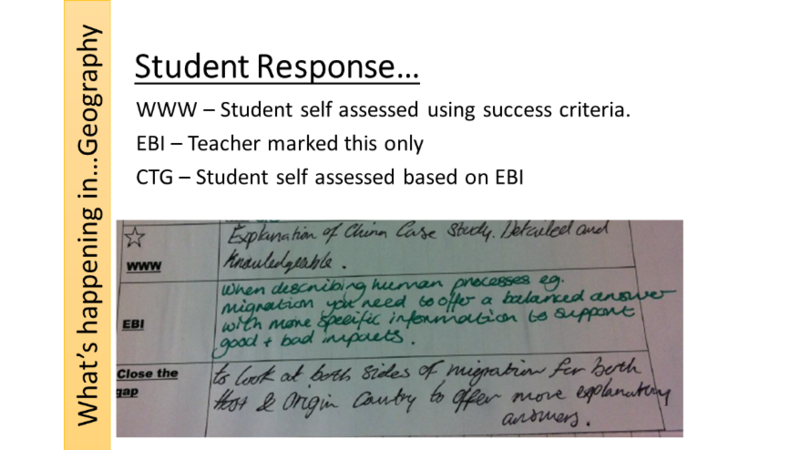 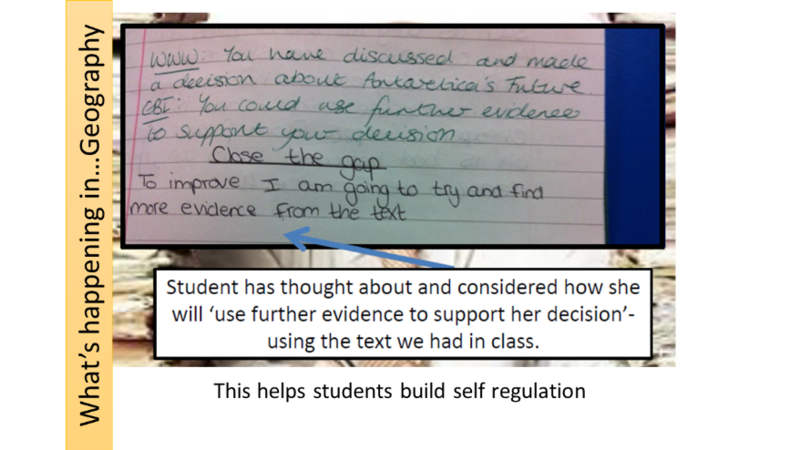 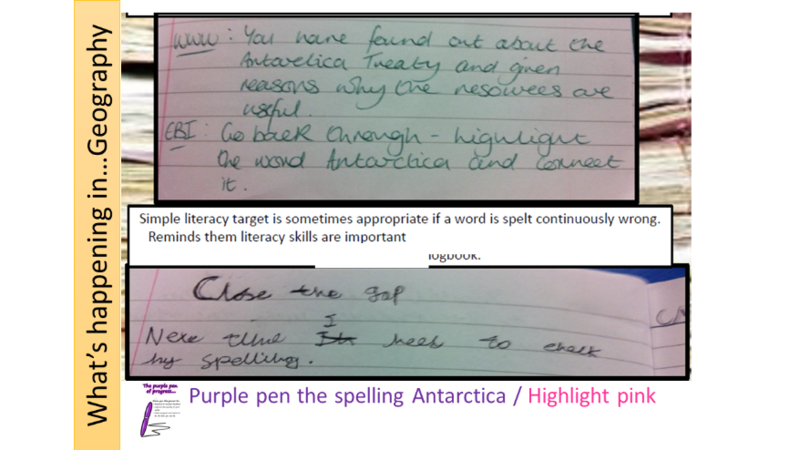 Comment on students� learning in relation to the learning goals or enquiry question. 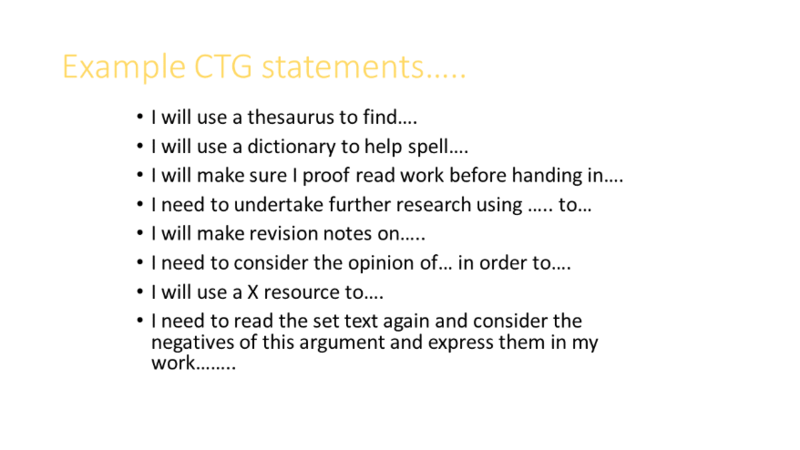 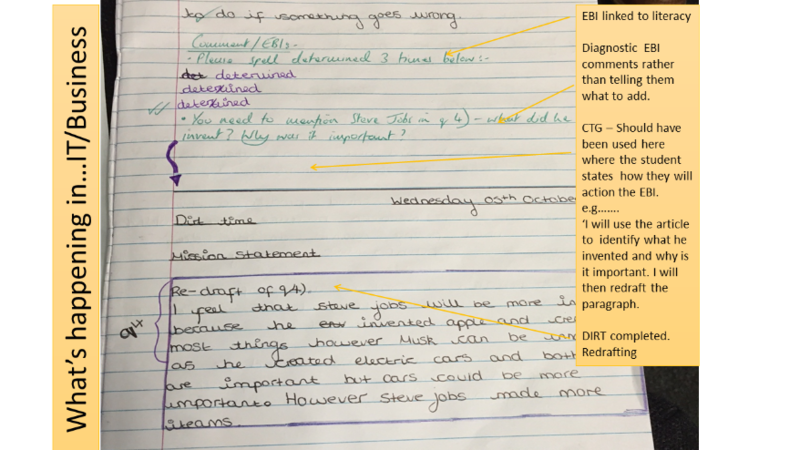 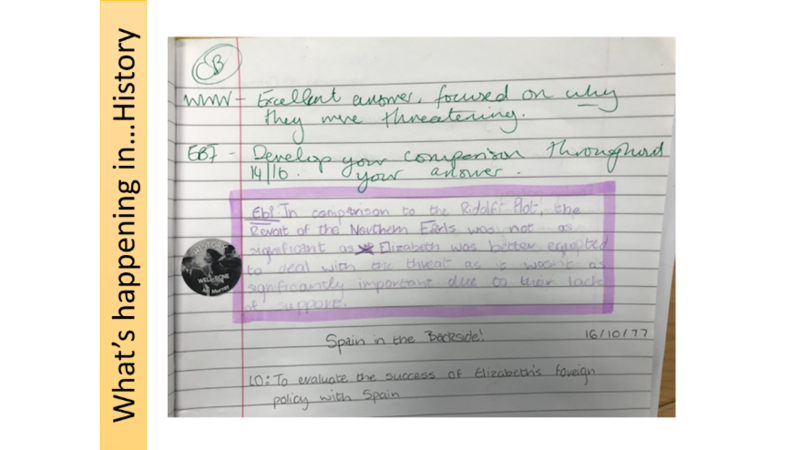 Provide students with a useful comment on what they are doing well alongside guidance for improvement based on their understanding, misconceptions and/or learning strategies used (using WWW/EBI/CTG). 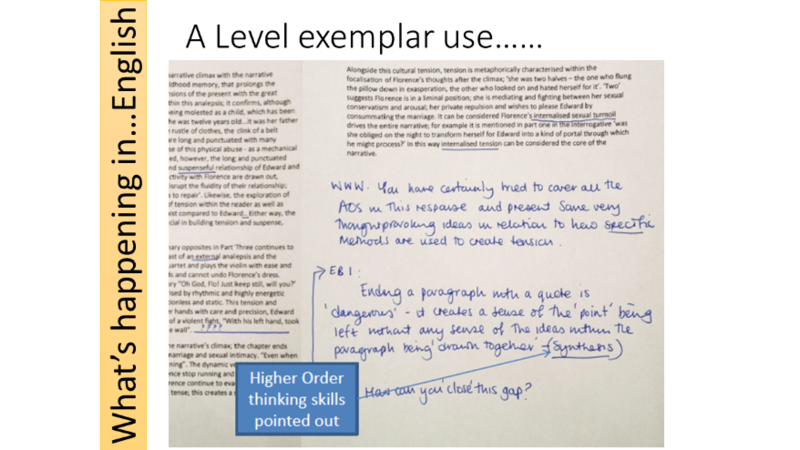 Be diagnostic and promotes questioning that explores deep and conceptual understanding.